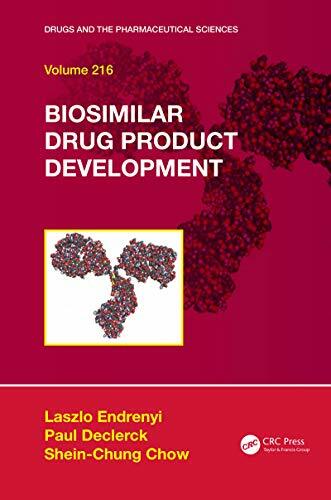 [PDF] Biosimilar Drug Product Development (Drugs and the Pharmaceutical Sciences) | Free eBooks Download - EBOOKEE! Description: When a biological drug patent expires, alternative biosimilar products are developed. The development of biosimilar products is complicated and involves numerous considerations and steps. The assessment of biosimilarity and interchangeability is also complicated and difficult. Biosimilar Drug Product Development presents current issues for the development of biosimilars and gives detailed reviews of its various stages and contributing factors as well as relevant regulatory pathways and pre- and post-approval issues. No comments for "[PDF] Biosimilar Drug Product Development (Drugs and the Pharmaceutical Sciences)".